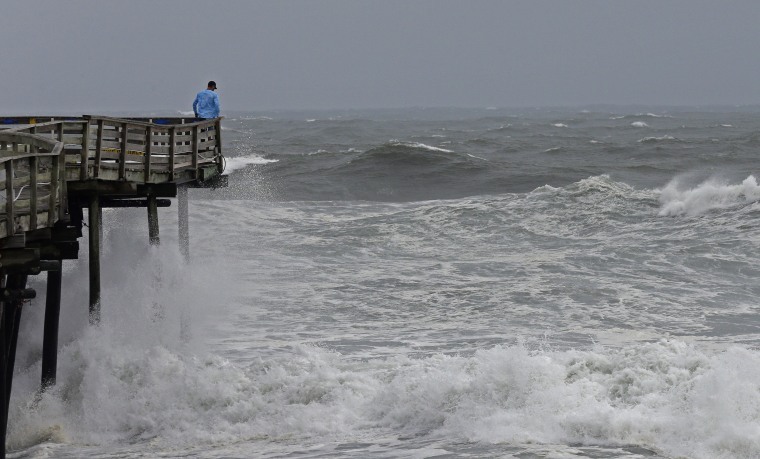 Heavy surf pounds the Avalon Fishing Pier in Kill Devil Hills, North Carolina, on Sept. 13. Hurricane Florence could bring peak wind gusts at over 100 mph and substantial storm surges of up to 13 feet. 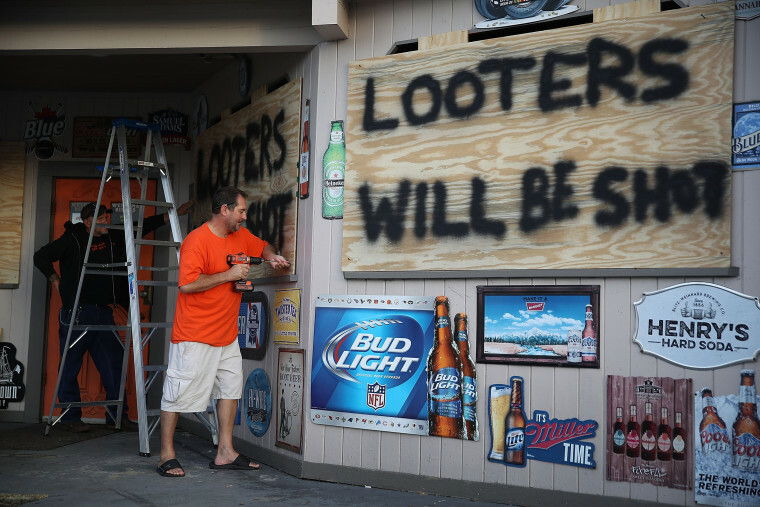 Doug Lewis, left, and Chris Williams cover the windows of Knuckleheads bar on Sept. 12 in Myrtle Beach, South Carolina. 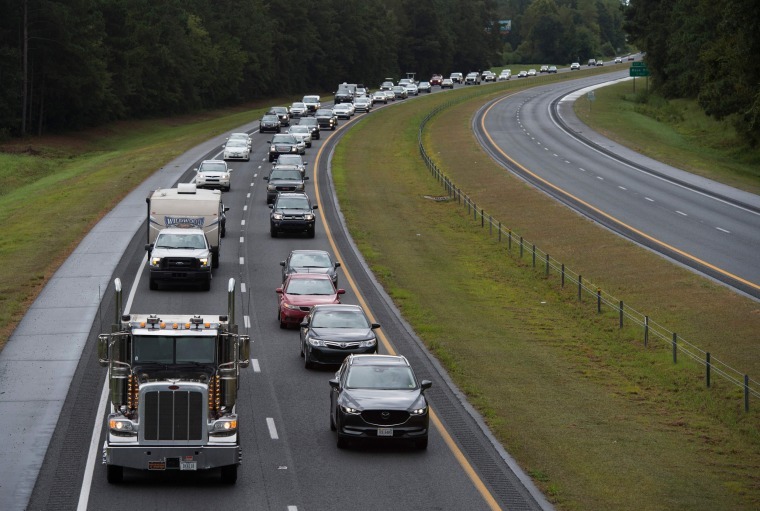 About 1.7 million people in North Carolina, South Carolina and Virginia have been told to evacuate. 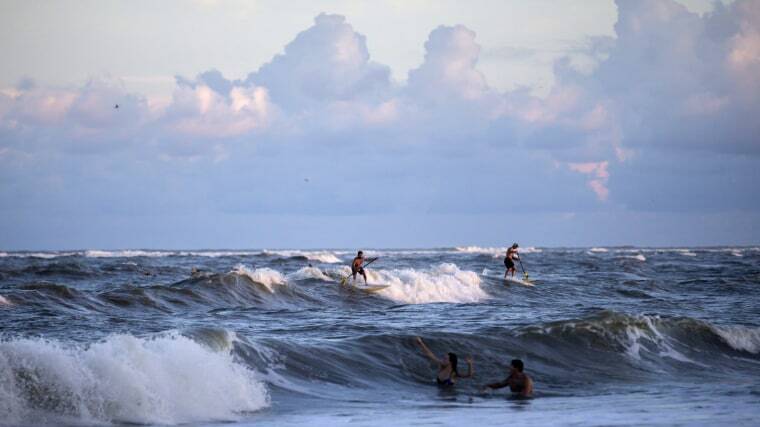 Stand-up paddle surfer Travis Storey, center, rides a wave from the approaching Hurricane Florence on the south beach of Tybee Island, Georgia. 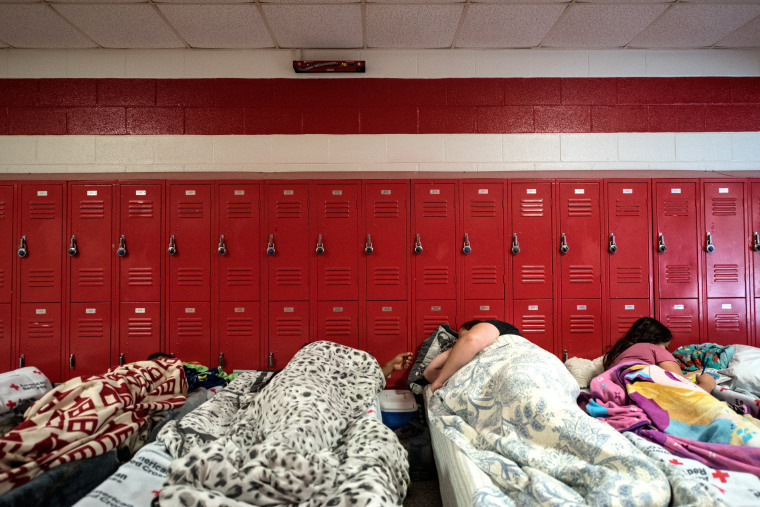 Evacuees take shelter at a school in Burgaw, North Carolina. 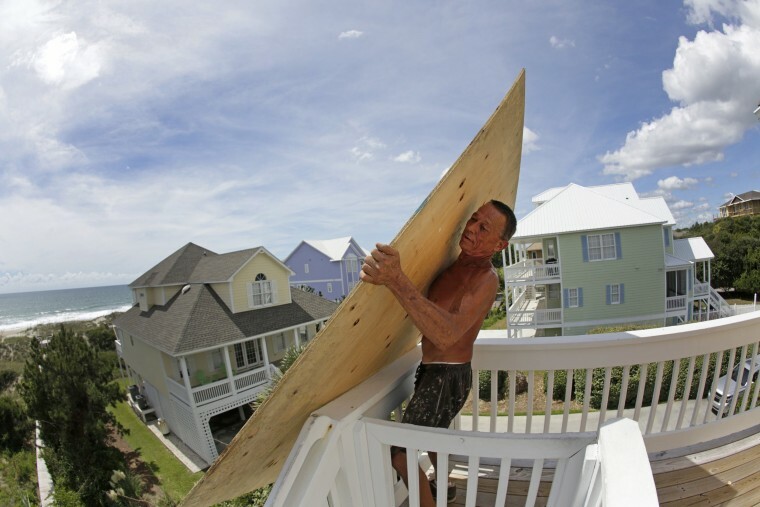 Tim Avery pulls up a board to the third floor of a home in Emerald Isle, North Carolina. 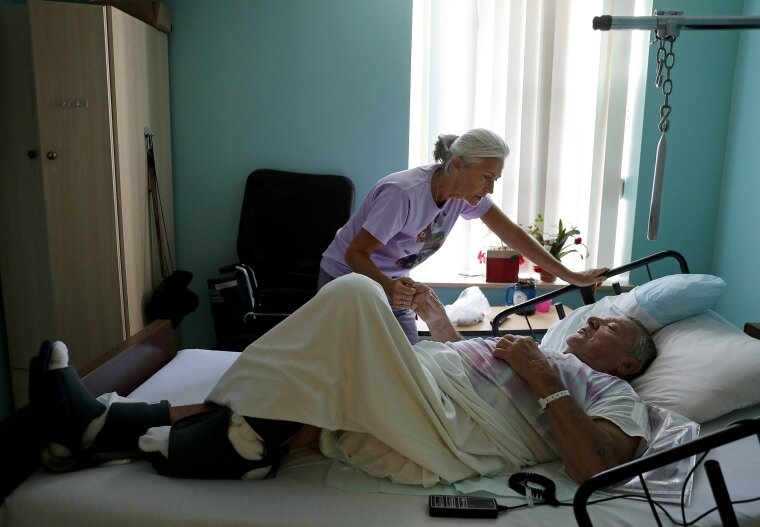 Marge Brown, 65, says goodbye to her father, George Brown, 90, before he is evacuated from a healthcare home in Morehead City, North Carolina. "I'd like to stay and see what happens. I'm 90 plus," said Brown, a WWII veteran who says he's survived a plane crash and severe burns from a laboratory fire where he once worked. 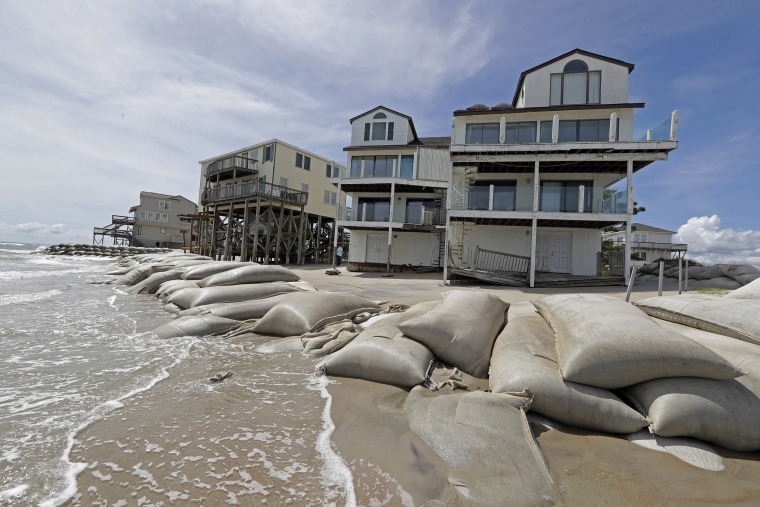 Sandbags surround homes on North Topsail Beach, North Carolina. 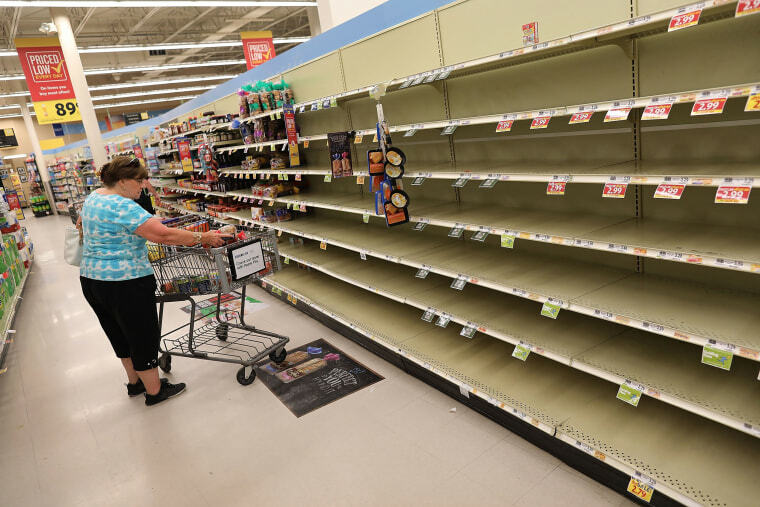 The bread shelves are bare in a grocery store in Myrtle Beach, South Carolina. 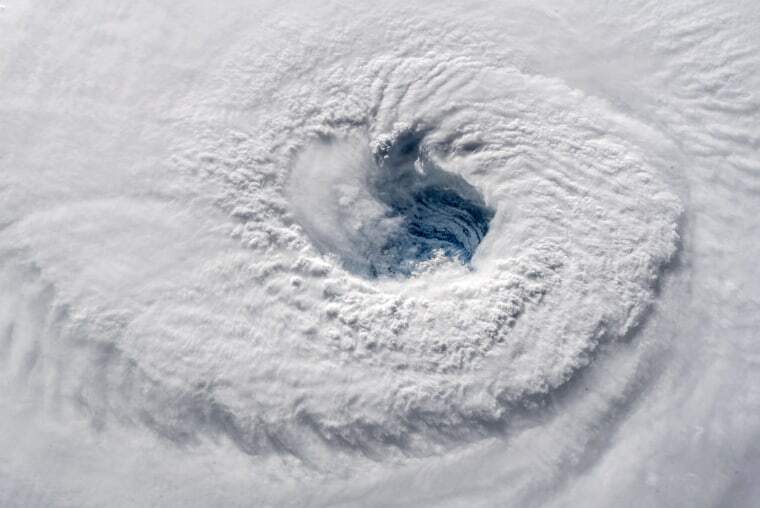 Hurricane Florence churns over the Atlantic Ocean in this view from the International Space Station. 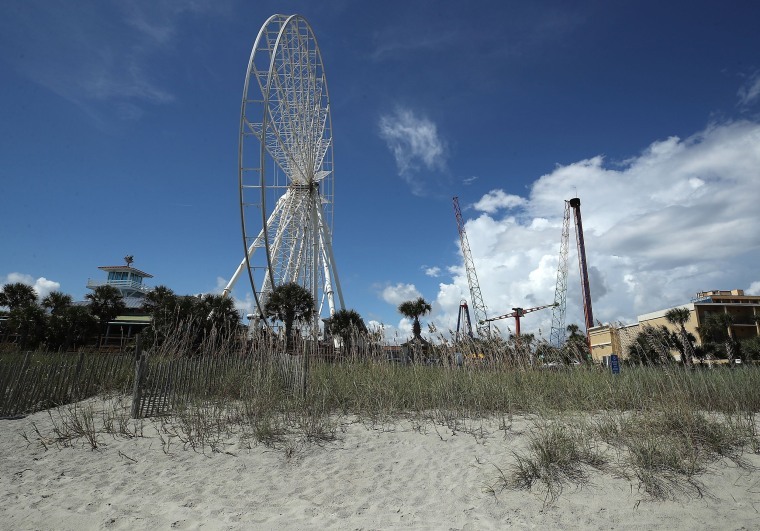 The passenger cars are removed from the Sky Wheel in Myrtle Beach, South Carolina. 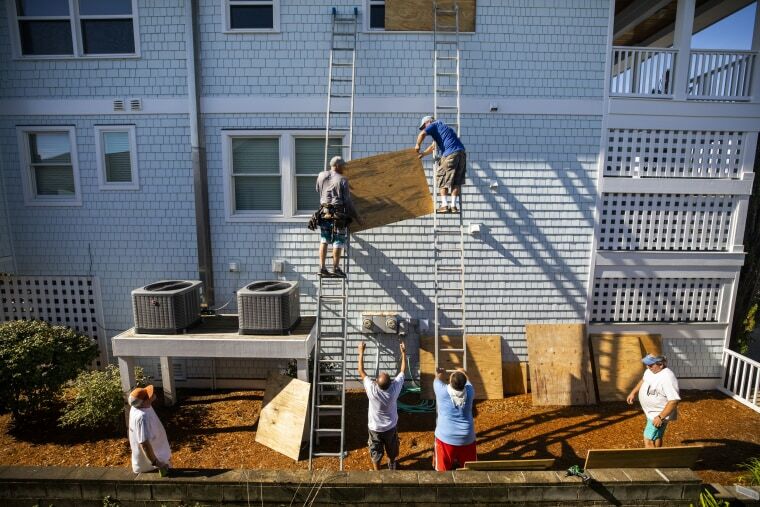 Bobby Vorn, top left, and Butch Beaudry prepare to attach wooden planks over the windows of an oceanfront home in Wrightsville Beach, North Carolina. 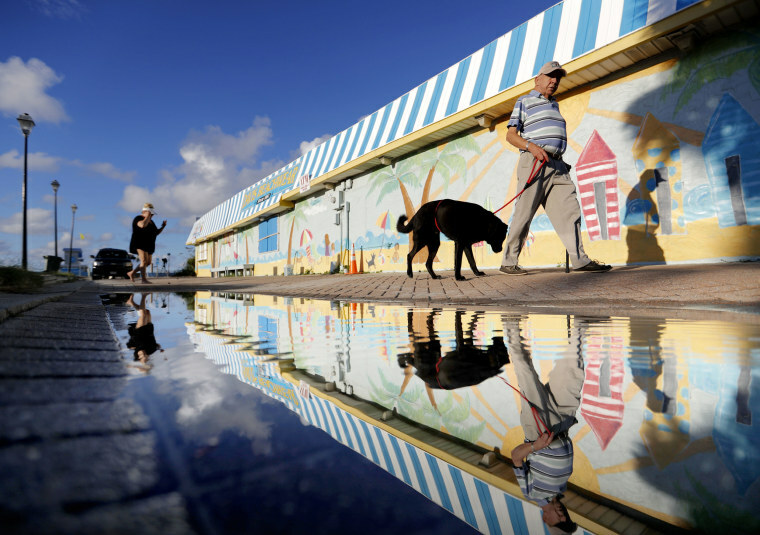 Beachgoers walk along the boardwalk in Atlantic Beach, North Carolina. 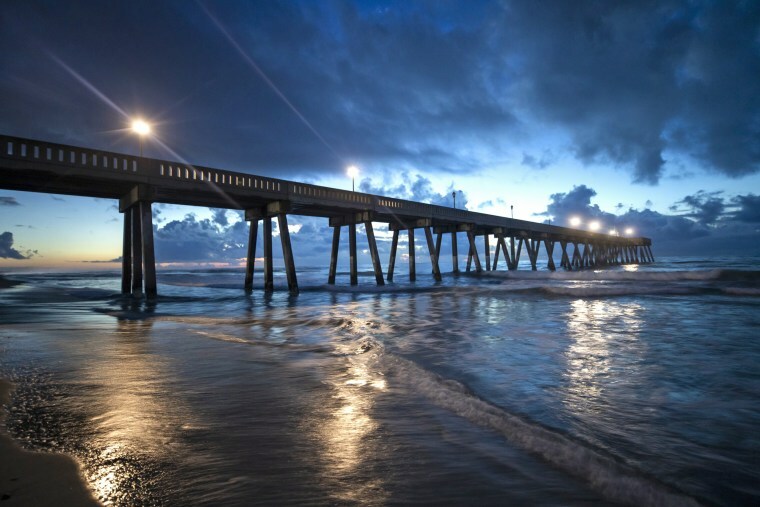 Johnny Mercer's Fishing Pier juts into the Atlantic Ocean at sunrise on Wrightsville Beach, North Carolina. 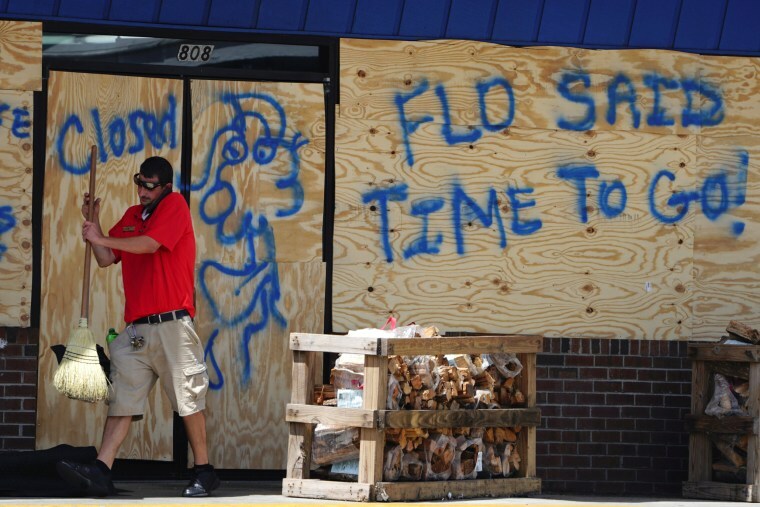 A man sweeps the entrance of a boarded-up store in Carolina Beach, North Carolina. 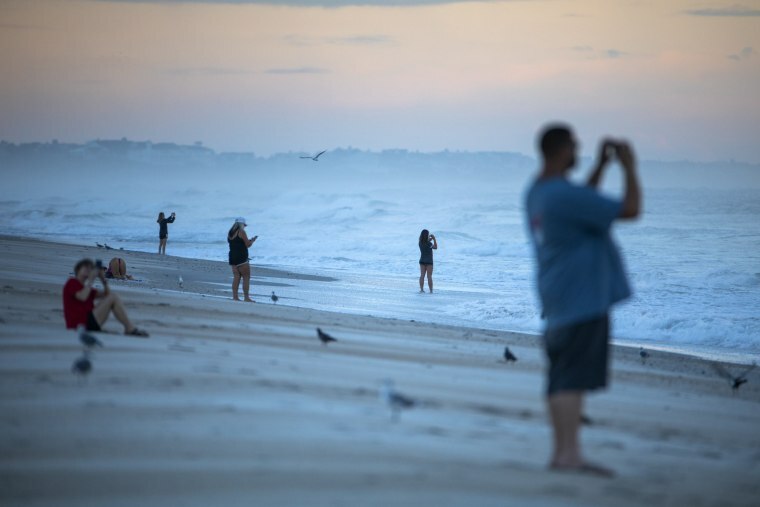 People photograph the Atlantic Ocean at sunrise in Wrightsville Beach, North Carolina. 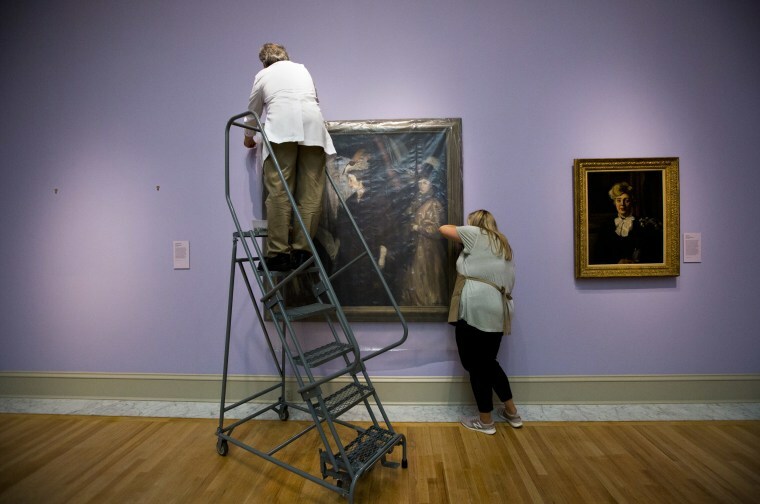 Mark Lewis, left, conservator, and Alisa Reynolds, associate registrar, secure the painting "The Shoppers" by William James Glackens at the Chrysler Museum of Art on Sept. 11 in Norfolk, Virginia. As Hurricane Florence approached, staff members pulled priceless paintings off the walls near windows and skylights. 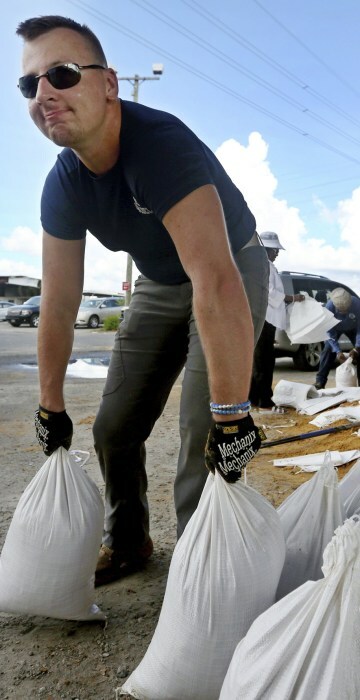 Later, the entrance to the museum will be sandbagged. 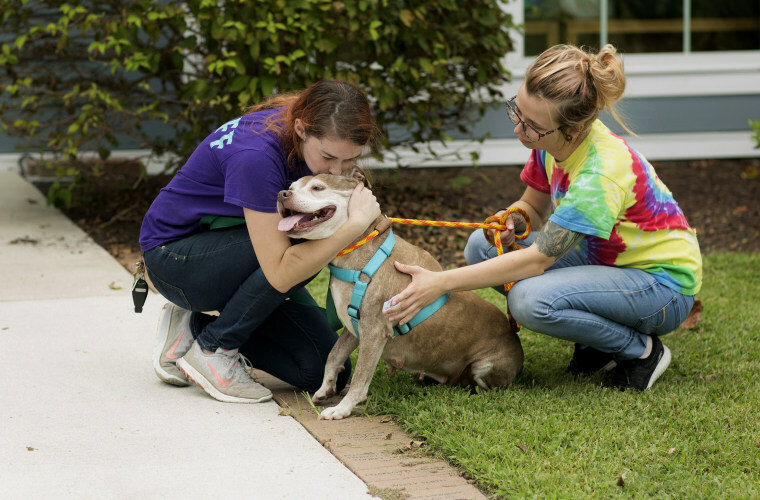 Amanda Glaze, left, and Brett Sorbello say goodbye to Hi-Ho Silver outside the Humane Society in Portsmouth, Virginia, as cats and dogs were relocated in preparation for Hurricane Florence. 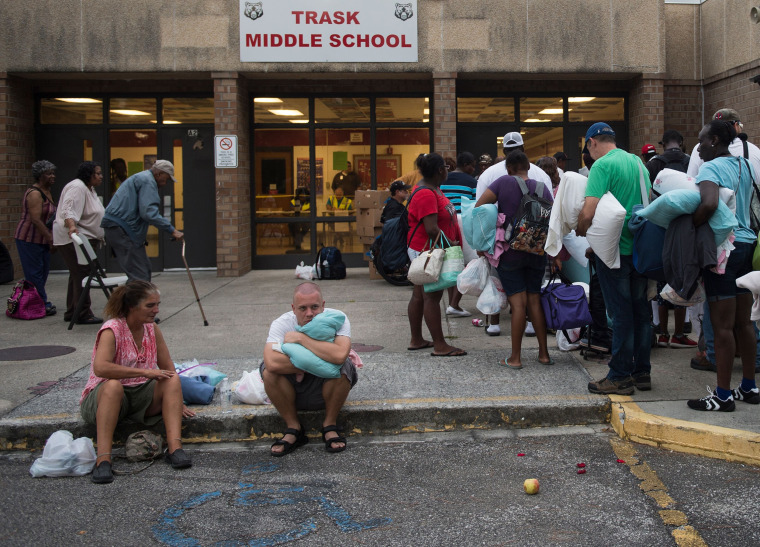 Residents evacuate from coastal areas near Wallace, North Carolina. 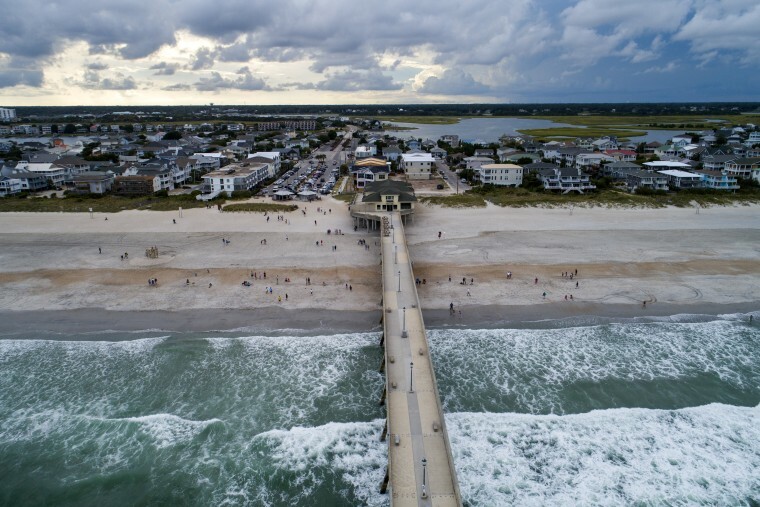 Surf pounds Johnny Mercer's Fishing Pier in Wrightsville Beach, North Carolina. 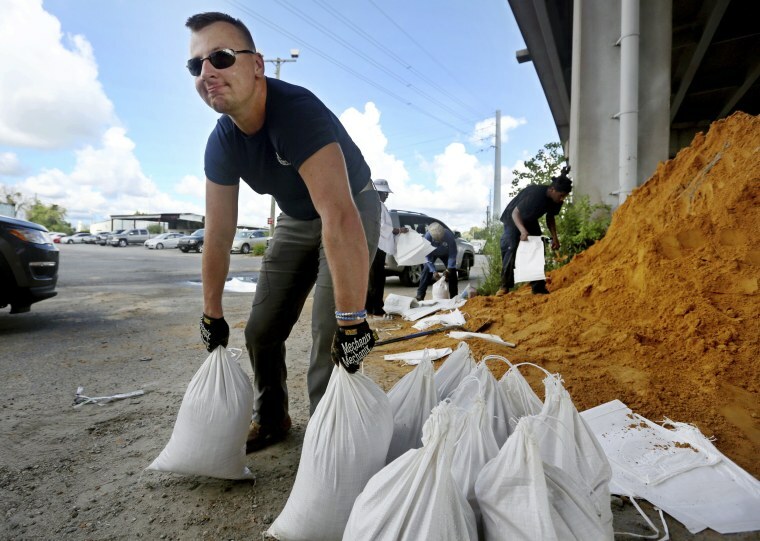 Kevin Orth loads sandbags into cars on Milford Street as he helps residents prepare on Sept. 10 in Charleston, South Carolina.